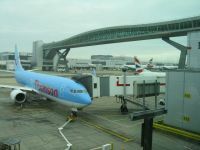 Last week Business Travel News took a look at the Heathrow submission to the Airports Commission. We now review Gatwick’s proposal, a 3,200 page document intended to show why the south London operation should be recommended by Sir Howard Davies and his committee. We have also added the latest from the Mayor of London. His submission is only 1,000+ pages. Readers with long memories may recall that the original Roskill Commission of the late 1960s plumped for Cublington (north of Aylesbury) following a detailed cost/benefit analysis. There was a dissenting opinion by transport planner Sir Colin Buchanan who favoured Maplin near Southend. He persuaded the then Prime Minister Ted Heath to go for this scheme (which Harold Wilson scrapped). Might the same happen again? Is the present Commission sworn to secrecy, and could a dissenting member change the outcome? In essence the Gatwick plan says that 10m more passengers each year will be able to travel with a second runway at Gatwick than with a third runway at Heathrow. It also claims that expansion at Gatwick will generate greater competition, keep fares low, and deliver £40bn more in economic benefits to the UK than expansion at Heathrow. The submission goes on to suggest that a new runway at Gatwick can be delivered around five years earlier than a third runway at Heathrow at no additional cost or risk to the taxpayer. Expansion at Gatwick will bring over 120,000 jobs in London and the South East, rebalancing the economy away from an overheated M4 corridor. On the high profile question of noise Gatwick claims that its second runway would disturb only 14,000 people compared to the 240,000 people impacted by aircraft from Heathrow today. Gatwick’s case for expansion builds on the strengths of the existing network of airports, which already serves London and the UK. The airport says a two-runway Gatwick in competition with a two-runway Heathrow will encourage greater competition between airlines and airports, spur innovation, drive greater cost efficiencies and result in lower fares for passengers. Considering the effect of competition alone, it calculates that the UK economy would be better off by up to £30bn over 60 years. The alternative, it claims, is returning to a market with one dominant player where passengers will end up paying more for fewer choices and less convenience. Expansion at Gatwick will give the UK the greatest economic boost, more quickly, and more flights to more destinations from London the submissions says. This is probably the most controversial part of the Gatwick document in that it is virtually universally held that the airlines, who are the airports’ customers, much prefer Heathrow to Gatwick. The success of ANA in earlier times, and more recently Continental (now United) and Delta demonstrates the case, although Emirates have prospered at the Sussex airport, whilst Qatar has pulled out. In its submission Gatwick says it is best placed to align with key future trends – including continued market share gains by Low-Cost Carriers which use Gatwick and not Heathrow. Gatwick’s transfer traffic is around 10/12% whilst for Heathrow it is 30% plus. With the introduction of hub-busting aircraft such as the Boeing 787 and Airbus A350, and the rapid rise of new hubs in the Middle East and Far East it is most likely that there will be a reduction of transfer traffic through London. Only Gatwick can cater for all airline models it says – full service, low-cost and charter – with affordable charges and facilities that enable fast and efficient aircraft turnaround times. The best choice is to build at Gatwick and develop a future proof solution that can support growth of all airline models. The alternative is to a Heathrow which excludes the low-cost business model. This has transformed the market over the past decade and continues to be the main driver of innovation. Gatwick’s second runway is a straightforward construction project, building a new runway on land already set aside for runway expansion. Unlike Heathrow, it doesn’t involve putting the busiest stretch of the busiest motorway in Europe into a tunnel, which would cost the UK in excess of £1bn in disruption. The lower construction risk means a second runway at Gatwick could be built for £7.8bn – considerably less than the cost of a new runway at Heathrow. This would result in airport charges (£12-15 per passenger at today’s prices) that would be around a third of the price of Heathrow’s and an operational second runway by 2025. Many fewer homes will be under the flight path than at Heathrow but to support those most affected, Gatwick has introduced Europe’s most progressive noise and insulation scheme. If a second runway is built, Gatwick will also compensate those most affected with an offer of £1,000 per annum towards their Council Tax (ie more than Heathrow). Stewart Wingate, CEO of Gatwick said: “As we reach this critical point in the aviation debate it is clear that the Airports Commission has a very real choice to make: expand Gatwick and create genuine competition in the market with lower fares for everyone, or move back to a London airport market dominated by a single player and saddle the next generation with higher air fares. Whilst his ideas for an airport to the east of the capital were ruled out by the Airports Commission earlier this year, the effervescent Mayor of London has got up from the floor, dusted himself down, and kept in the contest. You cannot question his tenacity and resolve. The Mayor’s 1,000 page submission claims that a new global hub airport would support 400,000 jobs UK-wide in a massive boost to the UK economy, bring in nearly £7bn a year in benefits from the extra global connectivity alone. He says it will be commercially feasible and faces no insuperable obstacles to its delivery. He vaguely notes the Heathrow site will be redeveloped but offers no real clues as to redeploying the 100,000 people who rely on the airport for their livelihood. He rightly points out that London is forecast to grow to 10m people by 2030 and by a staggering 37% to 11.3m people by 2050. Major infrastructure decisions like airport expansion will have to contribute towards meeting the need for homes and jobs posed by that growth. Mr Johnson says that the submission to the Airports Commission has been developed with the support of world leading consultancies with specialties covering a wide range of aviation and city planning skills. The new airport in the inner estuary is technically, economically and environmentally feasible which really cannot be disputed. Using the resources of Transport for London (TfL) his report included studies conducted for TfL by the Civil Aviation Authority, showing, we are told, that a third runway at Heathrow would bring the number exposed to severe noise to more than one million people. Areas that would be newly caught within Heathrow’s noise contour include Kensington, Chelsea, Chiswick and Deptford. No mention of the much quieter modern and future aircraft. A new airport in the Thames Estuary would expose less to aircraft noise but still probably overfly large parts of London that are now aircraft free. The document adds that scientific studies have associated loud and sustained noise gives adverse health impacts, including increased risk of hospital admission for stroke and cardiovascular disease, higher rates of hypertension and lower reading ages in children. One claim disputed by advocates of an enlarged Heathrow that says a three-runway Heathrow would effectively be full shortly after opening, with limited slot availability and very poor resilience. Not content to attack Heathrow The Mayor says that a second runway at Gatwick is no solution either – it fails to address the dire noise problems; is unable to function as a hub alongside Heathrow and cannot deliver the connectivity the UK needs. As a result it offers the smallest economic boost of any of the options being considered. The Heathrow Hub consortium is also submitting its final paper, further explaining its plans for an extension of Heathrow’s northern runway, doubling its capacity. Unlike Heathrow’s own plans it does not involve knocking down British Airways Waterside headquarters. Heading the campaign is former Concorde Chief Pilot Jock Lowe who was scathing towards the Mayor’s scheme. If that was not enough Foster & Partners have also submitted their ideas, a commercial enterprise, which calls for an airport on the Isle of Grain in the Thames Estuary, directly across the water from Southend. The experienced airport planners have the backing of Boris Johnson.